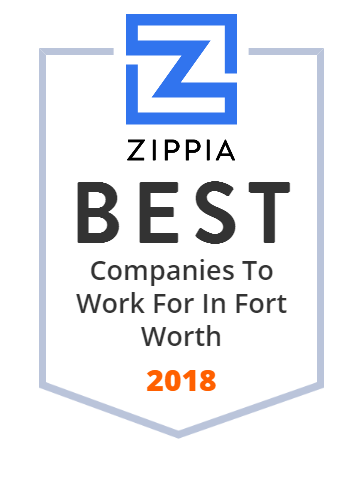 We hand-curated a list of the best companies to work for headquartered in and around Fort Worth, TX using data on salaries, company financial health, and employee diversity. Elevate develops credit products that get people money today and guide them to be better with it tomorrow. American Airlines, Inc. is a major United States airline headquartered in Fort Worth, Texas, within the Dallas-Fort Worth metroplex. Headquartered in Fort Worth, Texas, KMG is a global supplier of specialty chemicals and performance products for the semiconductor, industrial wood preservation and pipeline and energy markets. Alcon is a Swiss global medical company specializing in eye care products and headquartered in Geneva, Switzerland. Alcon's American headquarters are located in Fort Worth, Texas. Alcon is a subsidiary of Novartis although the company announced intention to seek shareholder approval for 100% spinoff of Alcon eye care devices business in order to create an independent company in 2019. The BNSF Railway Company (reporting mark BNSF) is the largest freight railroad network in North America, followed by the Union Pacific Railroad (UP) in second place, its primary competitor for Western U.S. freight. BNSF is one of eight North American Class I railroads and has 44,000 employees, 32,500 miles (52,300 km) of track in 28 states, and more than 8,000 locomotives. It has three transcontinental routes that provide rail connections between the western and eastern United States. BNSF trains traveled over 169 million miles (272 million km) in 2010, more than any other North American railroad. The BNSF and UP have a duopoly on all transcontinental freight rail lines in the Western U.S. and share trackage rights over thousands of miles of track. MORSCO Inc. distributes commercial and residential plumbing, heating/ventilation/air conditioning, and pipe/valves/fittings equipment in the United States. It offers waterworks, utilities, appliances, lighting products, kitchen and bath plumbing supplies, multi-family housing maintenance supplies, industrial and commercial piping products, and plumbing fixtures and supplies. The company was incorporated in 2005 and is based in Fort Worth, Texas with showrooms/branches in the United States. Tokai Carbon CB is a leading producer of furnace grade carbon black in North America. Our products are utilized in tires, industrial rubber products, plastics, as well as inks and coatings. Fort Worth is the 15th-largest city in the United States and the fifth-largest city in the state of Texas. The campus is located on 272 acres about three miles from downtown Fort Worth. Cook Children's Medical Center is a nationally recognized not-for-profit pediatric hospital located in Fort Worth, Texas. Cash America International, Inc. is a Fort Worth, Texas, retailer which operates 859 pawn shops in the United States. First Command Financial Planning, Inc. is a broker-dealer registered with the US Securities and Exchange Commission, the Financial Industry Regulatory Authority, all 50 states, and the District of Columbia. RadioShack, formerly RadioShack Corporation, is the trade name of an American retailer founded in 1921. Since 2017, General Wireless Operations, Inc. has leased the name from Kensington Capital Holdings and operates primarily as an e-commerce website, a network of approximately 425 independently-owned authorized dealer stores, and as a supplier of parts for HobbyTown. Galderma is committed to delivering innovative medical solutions to meet the dermatological needs of people throughout their lifetime while serving healthcare professionals around the world.